Classic Super (Extra Fine Quality-Standard Reeds) consist of heavy body with fine tuned and high tempered tongue. 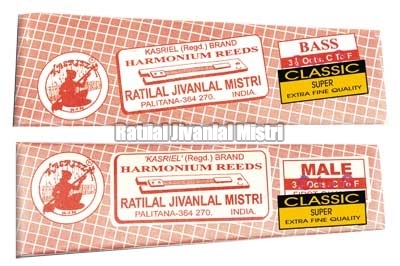 It fulfills demand of best quality Harmonium Reeds for most valuable Harmoniums. We take extra care in making reeds for scale change harmoniums.